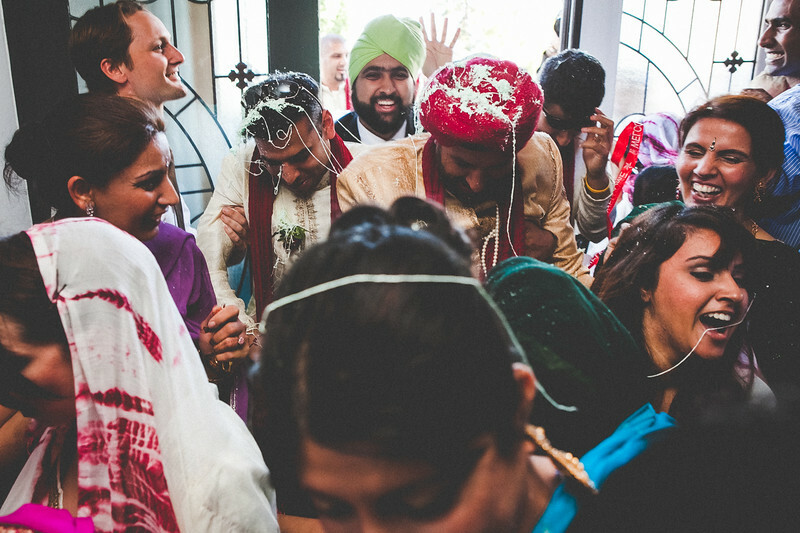 In the Sikh Tradition after the ceremony is over the Groom will go to the Brides house and bed to be let in by the women. They will ofter up money, gifts, and promises until the ladies agree. Finally they bursted in and a great scene. To me, this photo is perfection. Theres so much action in it, and joy.